One classic and super versatile facial hair style that always stays in fashion is the mustache. You can always experiment with it a bit and change your entire look with some simple moves. The problem is some men find it quite difficult to grow a mustache in a short period of time. 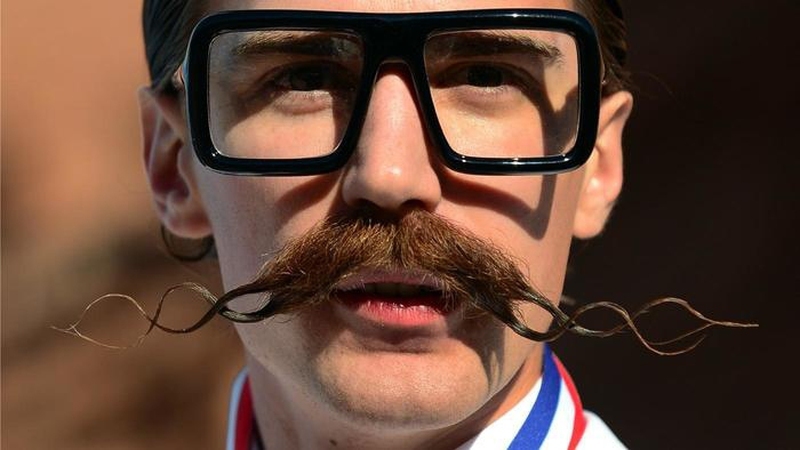 Is it really possible to make your mustache grow faster? Keep reading to learn more about it. If you have a face with thin lips, you may want to grow a bigger mustache. It will add volume to your face and make your upper lip look stronger. For a thin lip line, you should grow your mustache a bit around the corners of your mouth. Do not go for bushy styles though. If you have thick lips, you should go for rather understated mustache because you do not want it to add volume to your face. Small Face You'd better go for a small, thin and trimmed mustache. Soft Facial Features You can always sharpen the look by growing an edgy mustache with clear lines. Long and Thin Face You can balance your features by growing a wide mustache. This will help keep attention away from the lower half of your face. Large Face You need to have a mustache with a fuller look. This will help you have a rather rough appearance, which is quite in style these days. You may even consider growing a beard and attach your mustache to it. Round Face If your face is rather round with full cheeks and fewer angles, a thin shaped mustache may look great on your face. It compliments your facial features well and makes you look cool. If you pay attention to growing a mustache only, you may find it a bit awkward because the hair will be quite thin in the beginning. Growing a beard with it will keep things balanced. You can grow your facial hair first and then trim your beard, leaving a fuller mustache. Click here for more about how to grow a beard faster! You need to invest in a good quality trimmer if you are interested in growing facial hair. It will make it easier to shape your mustache and trim your beard without having to go through a lot of hassle. Using a razor is fine but it may trim more than you might need. One essential in figure out how to grow a mustache is to trim regularly and keep the mustache in shape. You may want to use a trimmer to trim the tails of your moustache that go to the sides of the mouth. You will also need to shave everything under your jaw, on your cheeks, and around your mouth. Do not touch your mustache again after initial trim. It sometimes takes longer for facial hair to grow – it is different for every man. It also depends on the type of mustache you are looking for. You may have to wait for weeks or even months to get full mustache. To promote facial hair growth, pay attention to your diet. Eat food rich in saturated fat, protein, and vitamins A, E, and C. Exercise regularly and take plenty of rest to stay fit. Staying healthy will improve your testosterone levels that will encourage facial hair growth.  Make use of a good face scrub. This helps massage your hair follicles and even eliminate any dead skin cells that hamper the growth of your facial hair.  Make use of a good quality shampoo and conditioner to prevent dryness and itching. You are likely to feel itchy if this is the first time for you to grow a beard or mustache.  Make sure to use your trimmer on your mustache only when it is dry. Wet hair will hang longer and you may end up cutting more than you may want.  Make sure to keep it natural but do not shy away from using some wax or other products to give it some definition. Some waxes work well and even make your mustache smell quite manly.  Perform a proper maintenance with a mustache comb. Specially designed combs are now available that keep your mustache in position and even help apply wax in the right way. You can also use it to part your mustache while trimming. Lifting it with the comb will make it easier to use scissors.